Just before stepping onto the Cumberland County Civic Center court to face Cheverus in the Western Maine Class A semifinal Friday night, the Windham High School Lady Eagles basketball team looked very relaxed and focused. 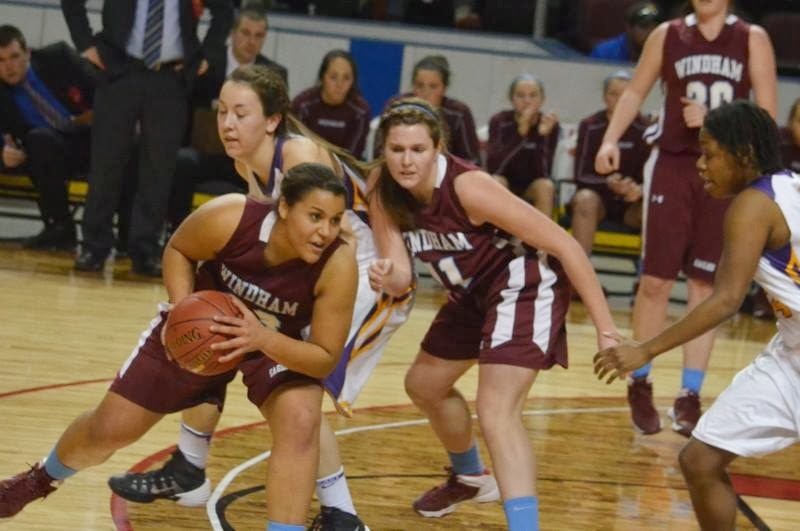 On a Cinderella-type roll through this tournament, Windham looked to keep the momentum going against a tall Lady Stags team. Fresh from beating Sanford to get into the tournament, the Eagles knocked off second ranked Thornton Academy Tuesday to advance to face 14-6 Cheverus in front of a packed arena. Windham coach Brody Artes, still all smiles from the Thornton win, said before the game, "We're looking to run the same plan, let our defense set the tone for our offense, control the glass, but we have to be more aggressive tonight. 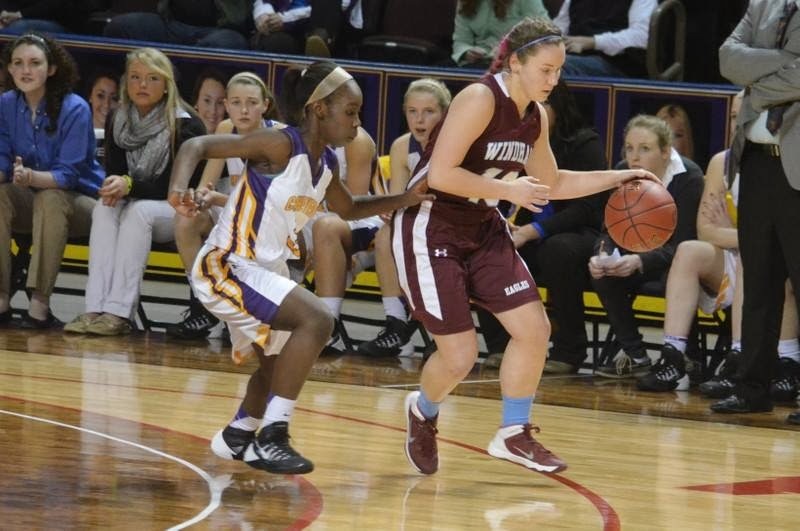 (Jess) Willerson and (Georgia) Ford combined to score 40 points last game, we have to find a way to slow them down." After a slow first quarter, with both teams feeling each other out, Cheverus held the early lead 9-7. Lodia Ismail connected on two 3-pointers in the first for Cheverus, but Windham's defense was causing turnovers and the Lady Eagles were limiting the Stags to one shot per trip down the floor with some great rebounding. In the second quarter, Windham turned the ball over five times in one 4-minute stretch and got outscored 17-8 in the quarter. Ismail hit two more threes and Cheverus had a commanding 26-15 lead heading into halftime. Sophomore Sadie Nelson exploded in the second half for 17 of her game-high 22 points. Scoring the first seven points of the third quarter, Nelson, along with Windham's defense, erased the 11-point deficit and got the Eagles to within one, 28-27, with 2:31 to play in the third. Forcing another turnover, Windham found Haley Batchelder for two more in the paint to give the Eagles the lead, 29-28 with 1:25 remaining. Cheverus was looking to go inside as much as possible and with a minute left, the Stags' Cassidy Grover got fouled and made one of two free throws to tie the game at 29. After a Windham miss, Cheverus' Jill Libby came down and nailed a deep three to give the Lady Stags the lead, 32-29, heading into the fourth. The Eagles' Sam Frost was once again given the tough assignment to guard Ford all night long and held the Cheverus co-captain to a very quiet game. Willerson's started the fourth with two to give Cheverus a 34-29 lead, while Windham searched urgently on the offensive end. The two teams traded turnovers before Nelson earned another trip to the free throw line and swished both to make it 34-31 with 4:40 to go in the game. The Eagles, who had been full court pressing since coming out of halftime, forced yet another Cheverus turnover, one of 13 Stag turnovers in the second half. 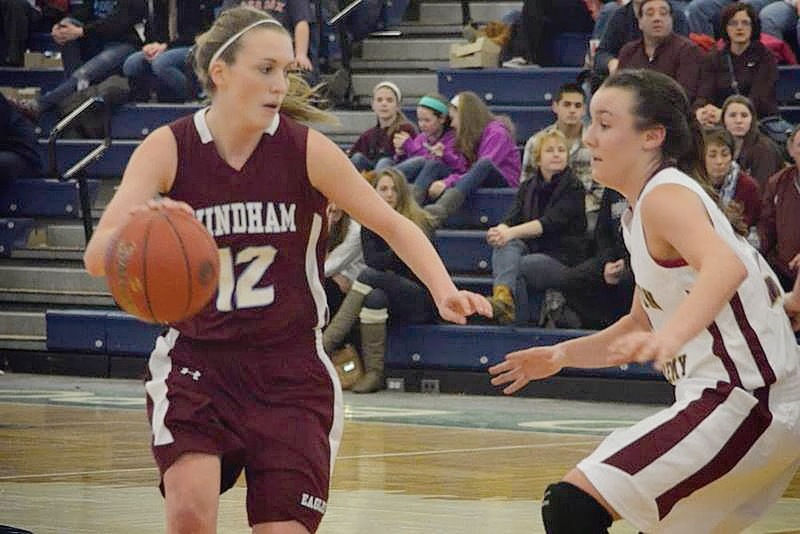 Luisa Sbardella then immediately hit a deep 2-point bucket to pull Windham within one, 34-33. Frost committed a blocking foul on Willerson, who hit both free throws to give Cheverus a 36-33 lead, with 3:38 on the clock. Windham had been controlling the defensive glass all night long. A Cheverus over the back foul on a great box out by Windham's Frost, sends her to the line for a 1-and-1 opportunity. She made both, bringing the Eagles back once again to within one, 36-35 with 3:18 left. Another Cheverus turnover led to another bucket by Nelson, this time off the backboard to give Windham a 37-36 lead and throwing the Windham crowd into a frenzy with 2:40 still to play. After Windham's Lonnie Staten missed the front end of a 1-and-1 at the 2:00 mark, the Eagle defense went to work again. Forcing Cheverus into a back court violation, Windham got the ball back and into Nelson's hands. Cutting across the lane once again, Nelson receives the assist from Frost and converts the running layup, giving Windham a 3-point lead, 39-36, forcing Cheverus to call time, with 1:23 to go. Out of that timeout, Ford misses a contested three from the top of the arc. Windham rebounds and with 1:02 remaining, coach Artes calls time to get everyone on the same page for the last 60 seconds. The Eagles inbound to Frost, who is immediately surrounded on the sideline, forcing her to burn another Windham timeout at the 58 second mark. After a wild sequence, Windham loses the ball out of bounds with 48 seconds left in the game. Carefully moving the ball around for a good shot, the Stags find Willerson down low but she misses the 7-footer in the lane and Staten comes up with the huge rebound for Windham. Staten tracks down her own rebound and in another wild scramble, finds Frost who gets fouled by Grover, putting Windham in the double bonus, shooting two. With 25 seconds left, Frost makes the first, making it 40-36, but misses the second and Cheverus rebounds. The Lady Eagles were all over the court tracking the ball and forced Cheverus into their 13th turnover of the half, this time a traveling violation. Quickly inbounding, Windham's Frost is fouled again and she headed back to the line for two, with 16 seconds left in the game. After missing the first attempt, Frost swishes the second and Windham had a 5-point lead, 41-36. 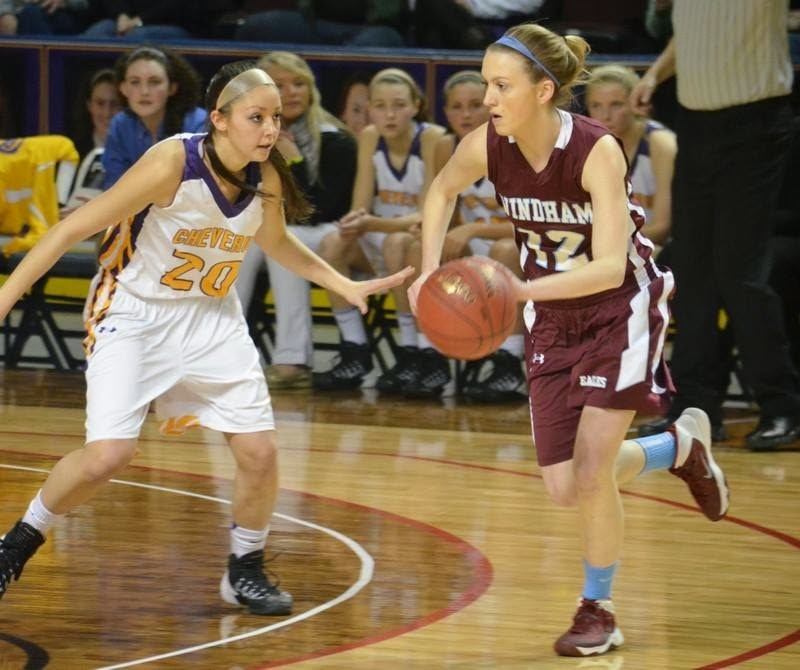 Cheverus missed again from inside as Staten secured the rebound and fed Sbardella who dribbled out the clock, giving Windham another upset win in these 2014 Western Maine playoffs. "Again our defense and rebounding were the key tonight," said coach Artes. "We were able to bring a lot more defensive pressure in the second half, and we made more shots offensively which helped our confidence. These girls always believe, they never quit and they play their game...and tomorrow night, we play McAuley for the gold ball, we can’t wait!" 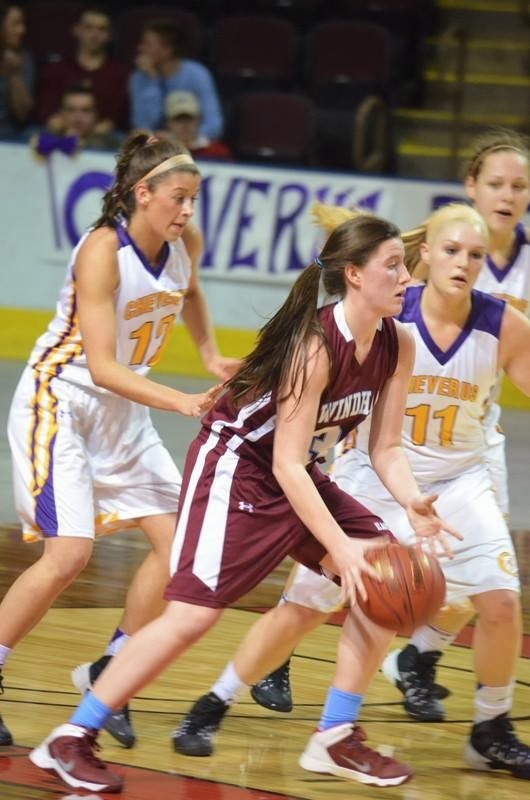 For Cheverus, Jess Willerson led the way with 14 points. Guard Lodia Ismail hit four three pointers for 12 points. The Stags finish at 14-7. Windham was led by Nelson's 22 points, and the 5'10'' sophomore spoke after the game, "Amazing, an amazing win, so awesome to beat Cheverus, this was a total team effort. Our defense allowed us to set the tone early." 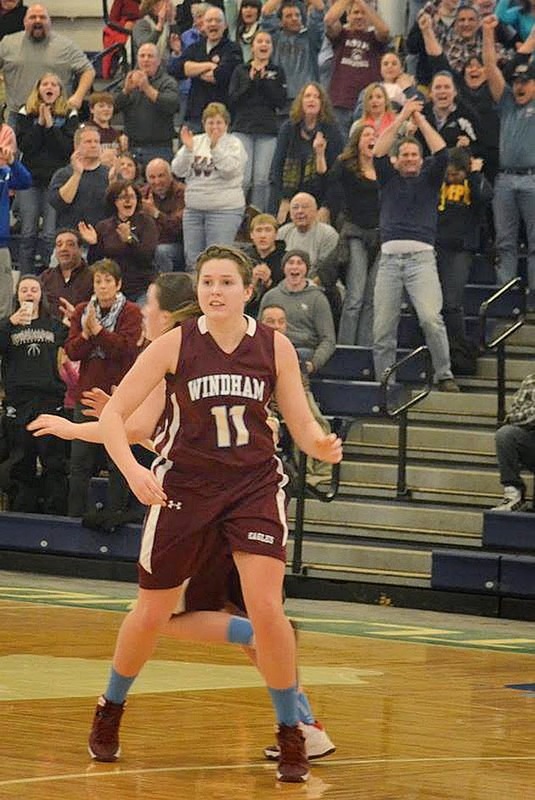 Windham outscored Cheverus 26-10 in the second half, propelling them to their first ever regional final. 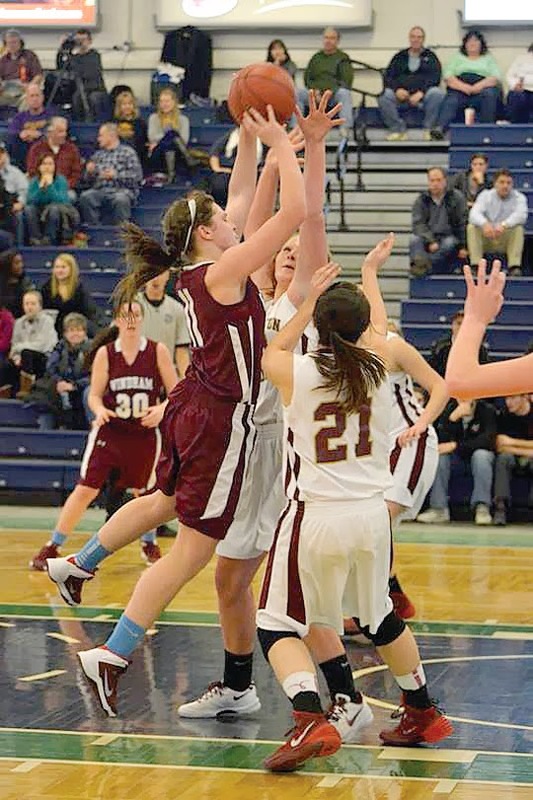 In beating Sanford in a preliminary game to get into the Western Maine playoffs, the Windham High School Eagle girls’ basketball team displayed great team defense. Coach Brody Artes knew his squad would have to duplicate that performance again on Monday, against second ranked Thornton Academy. "If we play that good, strong defense, limit turnovers, and force (Kaitlyn) McCrum out of her groove-as she sets the tone for their offense, we have a great chance for success," Artes said before the game. Windham played T.A. on January 14th, and lost 37-24. 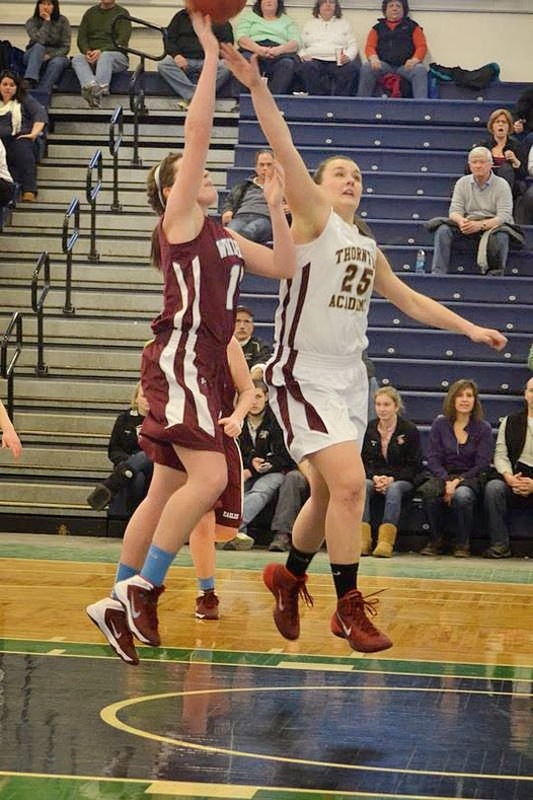 Thornton Academy came in with a 16-2 record, while Windham held the seventh seed, with a record of 12-7. "We will look to have Frost put the clamps on McCrum...similar game plan to the Sanford game. It’s not so much their height as it is their strong point guard play, but of course-we need to put the orange thing in the bucket, and limit our lapses where we can’t seem to score and we should be alright. The first meeting's score, (37-24), was not indicative of the game itself as we went nine minutes without scoring during one stretch...if we can limit those stretches, we have a real chance with this defense," said Artes. Right out of the gate, the Lady Eagles let it be known their defense was going to be front and center all game long. Forcing Thornton Academy into five first quarter turnovers, Windham held a 6-3 lead after the first eight minutes. Heading into the second quarter, Thornton Academy stepped up their own defensive pressure, and forced Windham into several bad passes and turnovers of their own. This was exactly one of the stretches Coach Artes was talking about avoiding. Fortunately Windham's defense was keeping them in the game. Kaitlyn McCrum's bucket with 4:07 left in the second put the Lady Golden Trojans up 8-7. 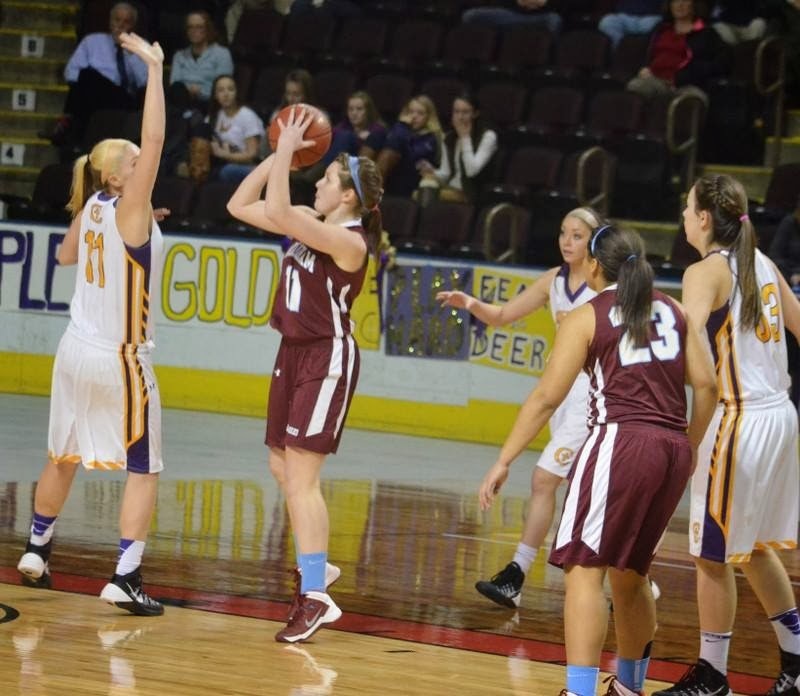 It was obvious Thornton Academy was looking to go inside more in the second quarter, and it was clicking, sending TA to the free throw line eight times. Kaylee Burns and Olivia Shaw led the way with four points apiece to give Thornton Academy a 15-9 lead heading into the locker room at halftime. 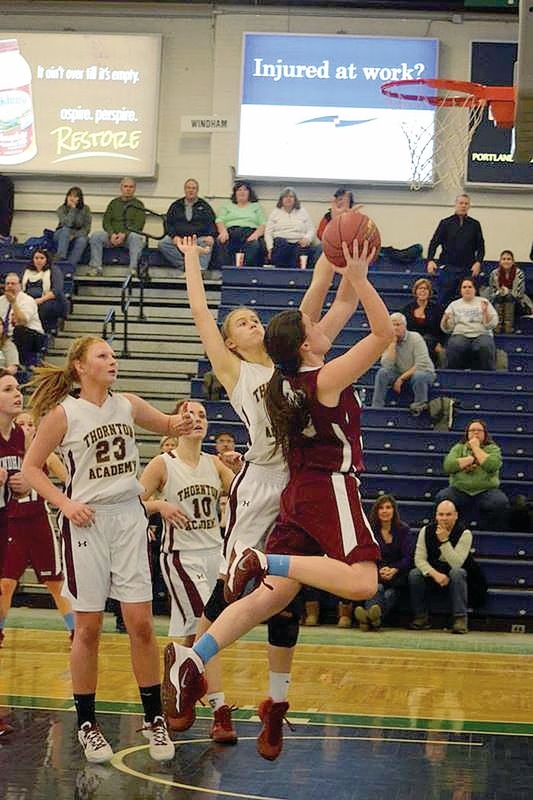 Sadie Nelson netted five points, while Haley Batchelder added four to pace Windham in the first half. The Eagles' Sam Frost was doing the defensive work on McCrum, limiting the highly touted point guard's ability to run the offense smoothly. Coming out of halftime, it was more defensive pressure by the Eagles. 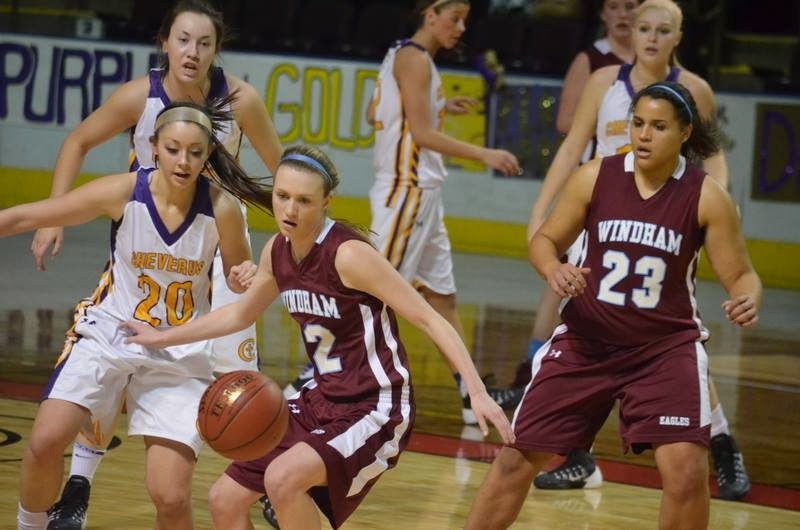 After Nelson's 15-footer to start the period, Windham forced two turnovers in a row with great rotating defense. After a hoop by Windham's Lonnie Staten, the Eagles forced Thornton Academy into yet another turnover. With four minutes to go in the third, Batchelder got Windham within three, 18-15, with a put back rebound while getting fouled. Missing her free throw, Thornton Academy then scored on three straight possessions to go up by 11, 26-15, with 30 seconds left in the quarter. Windham's Nelson gets a bucket to go at the end of the third, to cut it to nine, 26-17 heading into the fourth. Again the Eagles come right out and set the tone. 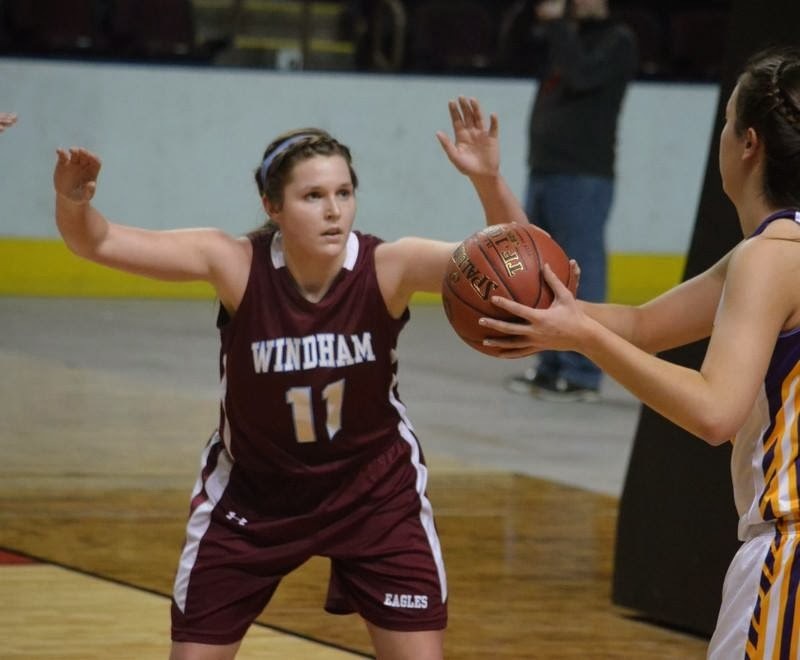 After a bucket by Luisa Sbardella, two free throws by Batchelder, and another turnover forced by Windham's press--the momentum was starting to favor the Lady Eagles. Thornton Academy's Strickland broke the drought with a bucket at the six minute mark, putting the Lady Golden Trojans up 28-21. Windham did not give up. After two straight hoops by Batchelder, and two more turnovers forced by the Eagle defense, Trojans coach Eric Marston called a timeout with 4:20 to play, his team up by 3, 28-25. The near capacity crowd was getting behind their respective teams, as playoff basketball was alive and well. Immediately out of the timeout, T.A. 's Strickland commits a player control foul, giving the Eagles the ball. Batchelder converts a left-handed layup to cut it to one, 28-27, with 2:55 remaining. Full court pressing, the Eagles force Thornton's McCrum into a bad pass and got the ball back. Nelson lets a three fly from the top of the key, although it comes up short, she rebounds her own miss and drives down the right side for a layup, and the foul, giving Windham its first lead since the first quarter, 29-28. Thornton calls a timeout to settle his players down after the wild sequence. Nelson comes out and swishes her free throw to put the Lady Eagles up 30-28, with two minutes to play. 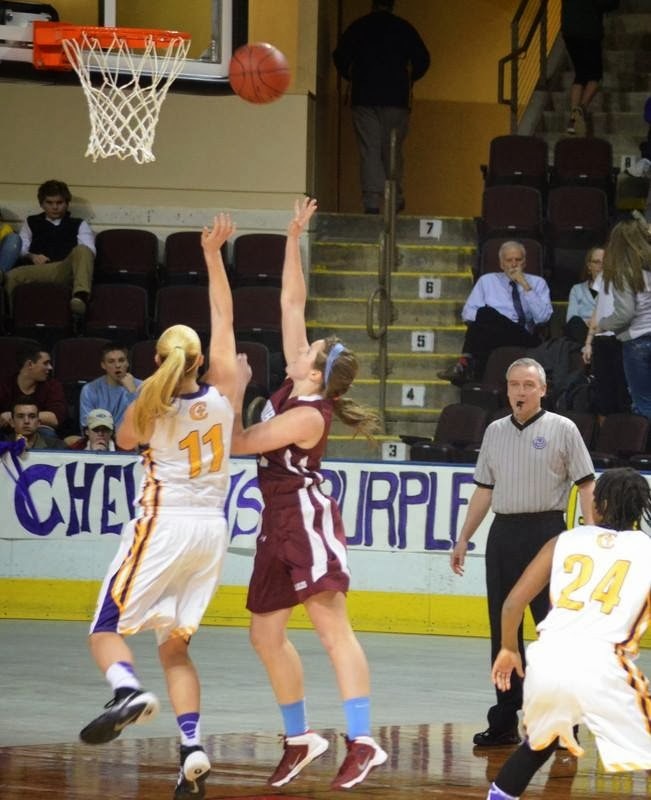 Thornton Academy's Shaw rebounded a missed jumper to tie the game at 30. 1:50 to go. 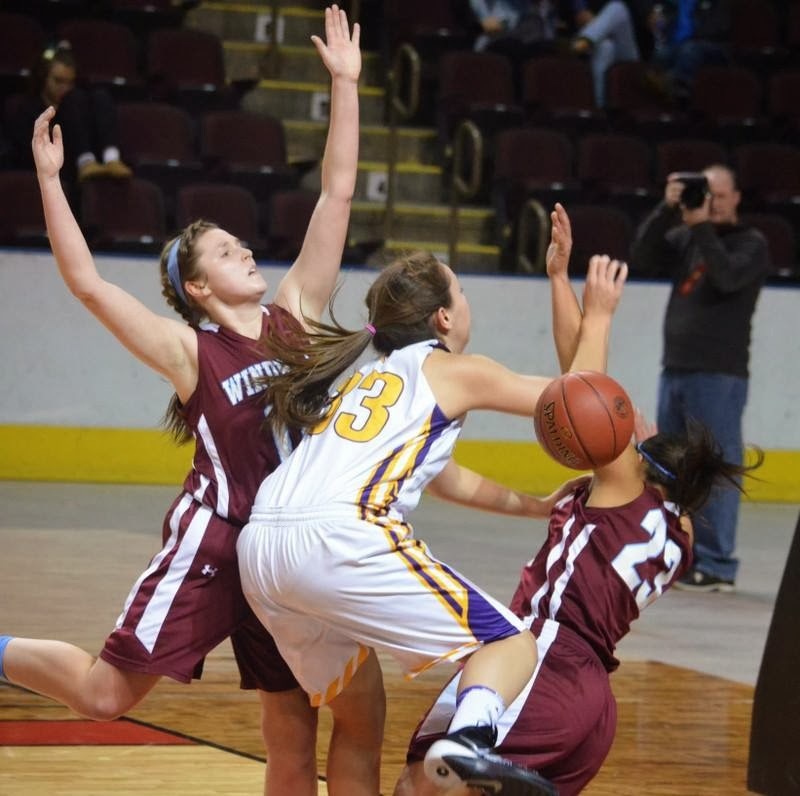 Windham comes down the floor and Sbardella gets fouled, sending her to the line for two. She hits both, and Windham goes up 32-30 with 1:40 remaining. Windham's defense was now swarming, as Thornton Academy was having trouble getting the ball inside until Strickland got loose and earned a trip to the line with 1:15 to go in the game. She swishes both to tie it yet again, at 32. The Eagles miss a chance to go ahead, as does Thornton Academy. Windham rebounded the Thornton miss, and calls timeout with 25.5 on the clock. The Lady Eagles came out of the timeout, working the ball around the perimeter in a spread formation. With quick, sharp passes flying around the three point line, time was winding down. Windham patiently moving the ball, Frost gets it and finds a cutting Batchelder in the paint for a driving bank shot that gives Windham the lead with 4.6 seconds to go. No timeout called by Thornton, they inbound and get to half court for a heave that was just short. The Windham Eagles pulled off the upset, 34-32. 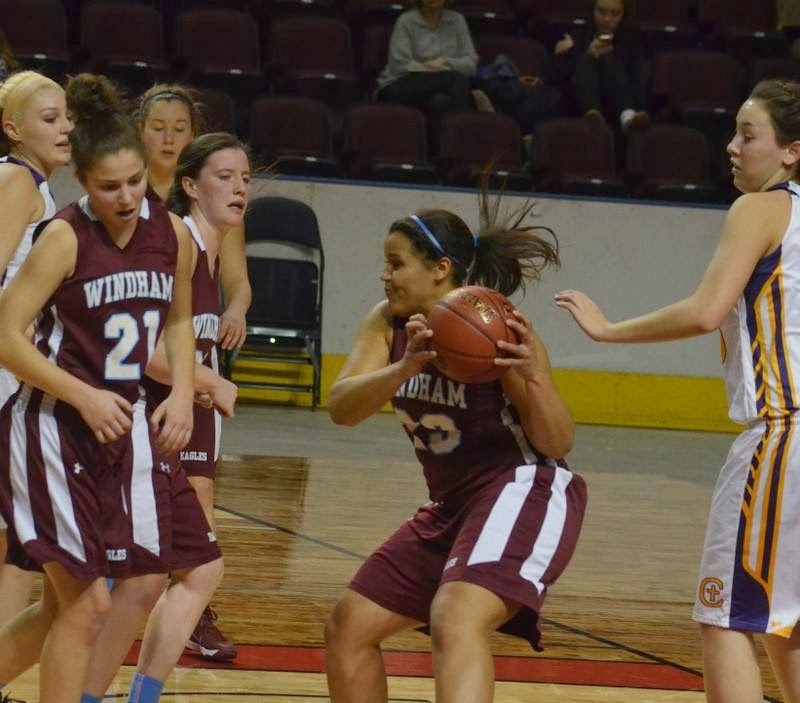 Batchelder led Windham with 14 points, and Nelson added 14 for the Eagles. 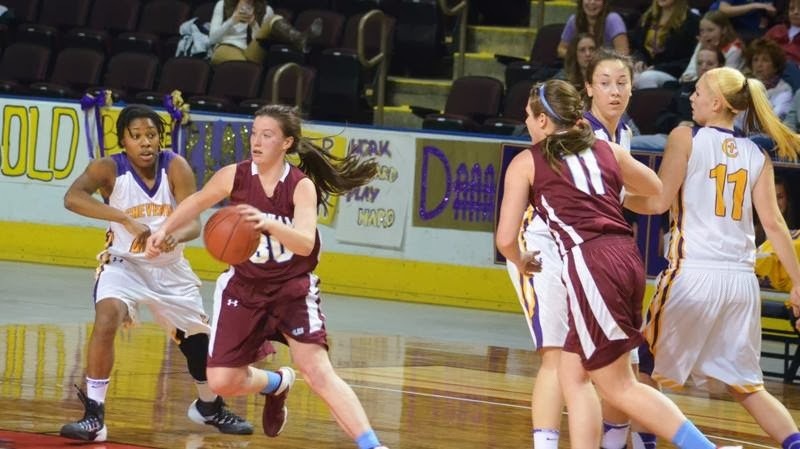 Thornton Academy was paced by Strickland who netted 12 points, while Shaw chipped in with 10. A beaming Coach Artes said after the game, "Defense was the key, tenacious D all year long and they brought it tonight. They never backed down or quit. They played together from start to finish. 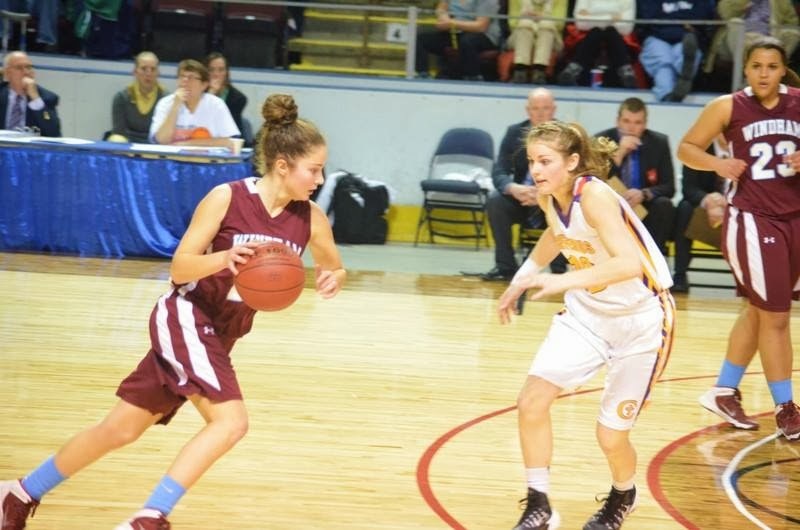 Haley Batchelder did the job in the second half…got us some huge buckets down the stretch." Artes was all smiles in having to play Friday night, adding, "The girls really earned this one, now I got three days to prepare for Cheverus!" 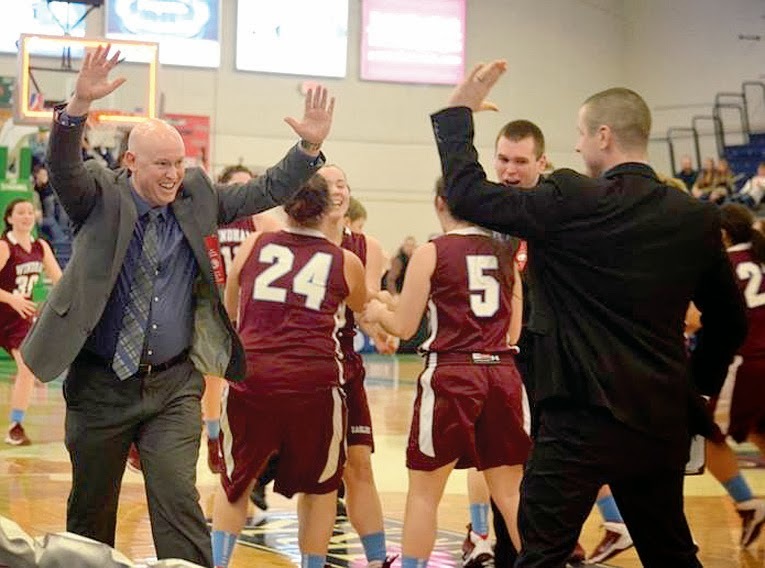 Windham advances to play those Lady Stags on Friday night, at the newly renovated Civic Center, at 7:30 p.m.
Did you know 50’s and 60’s are the new 30’s and 40’s? Baby boomers are the largest percentage of the population and are healthier than ever before. 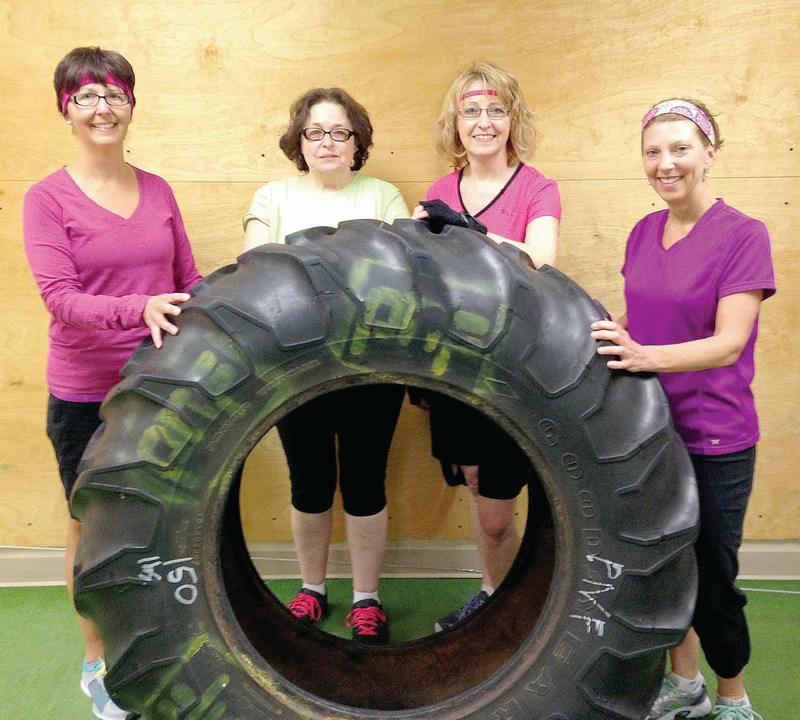 They are taking charge of their health. Sixty percent of my clients are over the age of 50. All have individual reasons for training. Some were overweight, menopausal, being put on medicines by their doctors, chronic back pain, falling and having limited mobility to having a mini stroke. All very important reason for these individuals to get started exercising.
. Hear what some of our clients had to say. It is time to take back your health! Start by walking through the door and talking to your professionals. And soon you’ll be saying “ Who wants to be 20 when I can feel so good at 50”. Do you wish you were different? Better? More successful? Would you like to be thinner? Have better habits? And feel more positive about life? You may think that change is hard, that it takes time. But it really doesn't have to be. I believe that lasting change happens in an instant. Sure, this goes against mainstream belief. Most believe that change has to be a struggle. They expect to try and fail numerous times before ultimately losing or succeeding. For example, how many people do you know who struggle with their weight? These are people who want to make a healthy change by getting in shape, but the change never seems to happen. What is the biggest part of your life that you want to change? Do you have inches to lose? Do you have preventable diabetes? Does heart disease or cancer run in your family? Do you have a pair of jeans that you want to fit into? Or maybe you have an unreached goal completely unrelated to fitness. According to professional speaker and author, Tony Robbins, it's the preparation for change that takes times. In the end there's a single instant when the change occurs. Step #1 to reinvent yourself: Believe that something in your life must change. Do you kind of want to get into shape, or do you absolutely have to lose the weight? Does dropping a few pounds sound nice, or is living another day in your current body simply unbearable? In order to reinvent yourself, you must believe wholeheartedly that things must change. Step #3 to reinvent yourself: Believe that you can change it. Don't let past failures get you down. The truth is that you are capable of amazing things when you put your mind to it. Believe that you are able to lose weight or to make any other positive change in your life. Why do most people fail to make change stick? They rely on willpower. This works for a while, but you'll soon revert back to what's comfortable. The solution? People are motivated by two things: 1) to avoid pain and 2) to gain pleasure. When you want to change a behavior pattern the key is to associate pain with the behavior that you don't want and pleasure with the behavior that you do want. It's time to retrain your brain to feel good about exercise and to feel bad about eating late at night. Think about all of the negative things about being overweight and connect these unpleasant thoughts to your late night snack. Now think about all of the wonderful things about being in shape and connect these pleasant thoughts to exercise. You are capable of making big changes in your life. Remember, change happens in an instant.